Seriously. 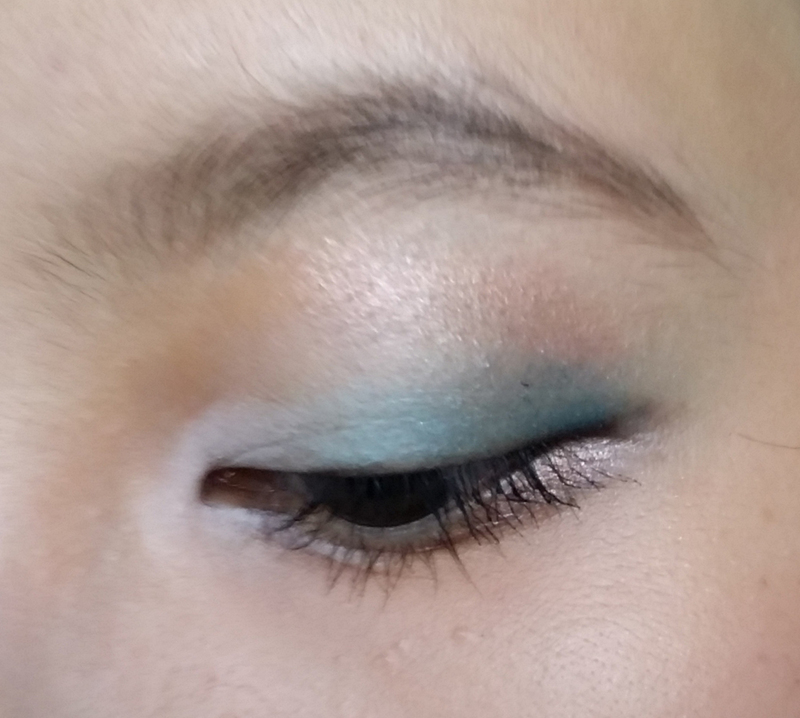 I am both liking and hating it – I finally get to know my colourful shadows a little more intimately, but they’re not exactly super wearable. Mid: Bronze. As in literally the colour of a bronze medal. From Sleek’s 2012 London Olympics inspired palette. Here are the swatches. The white isn’t so good, obviously. 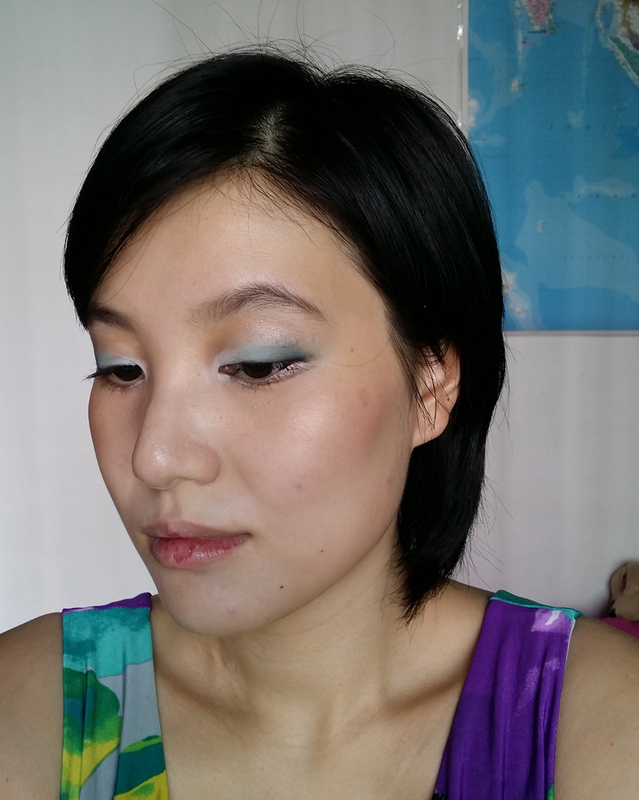 The blue is actually pretty creamy and reasonably pigmented. The bronze shimmer is nice, of course. The green is kinda sheer and sheers out way too easily. I used NYX Milk as a base to make the pastels pop. 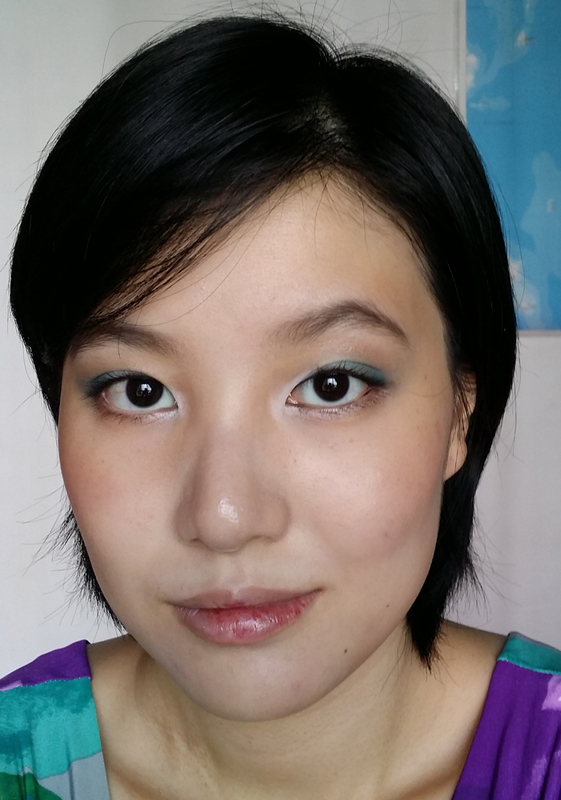 I used white in the inner corner, the blue on the lid and the green on the outer corner. The bronze went on the lower lashline and also in the crease. I tightlined with a black shadow too. The green really annoyed me because it’s SO difficult to work with. Hrrrrrrrmph. It’s a look that I definitely wont’ do normally, but I think it turned out ok overall. Of course, that’s what makes thhe singles cruise fun! The one day my lashes were awesome.